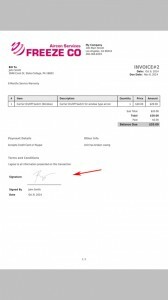 (2) Then click on the SIGNATURE. 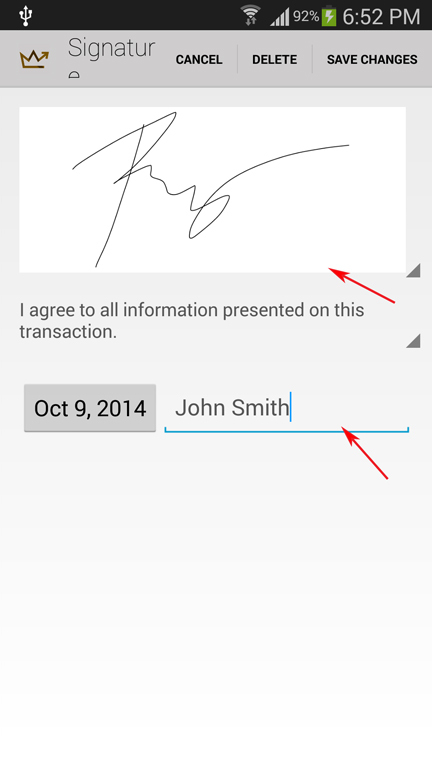 (3) Enter Signature and the Signed by fields. 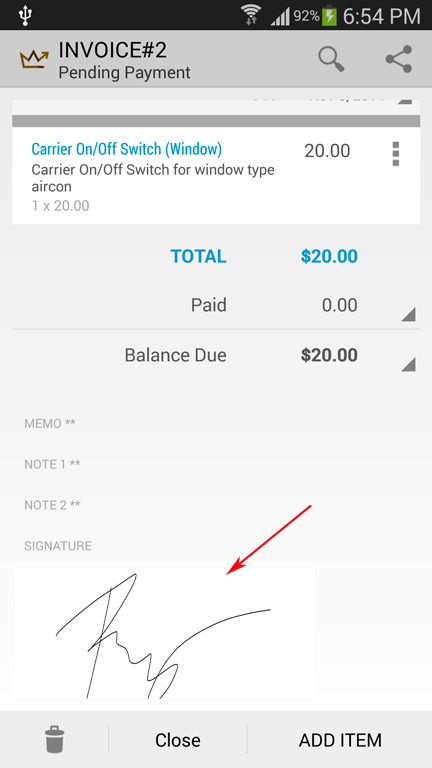 (4) Then click on the SAVE CHANGES. 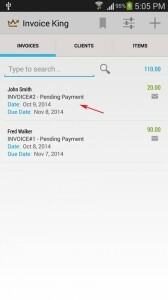 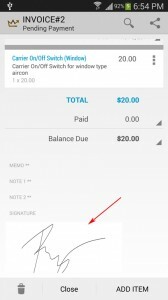 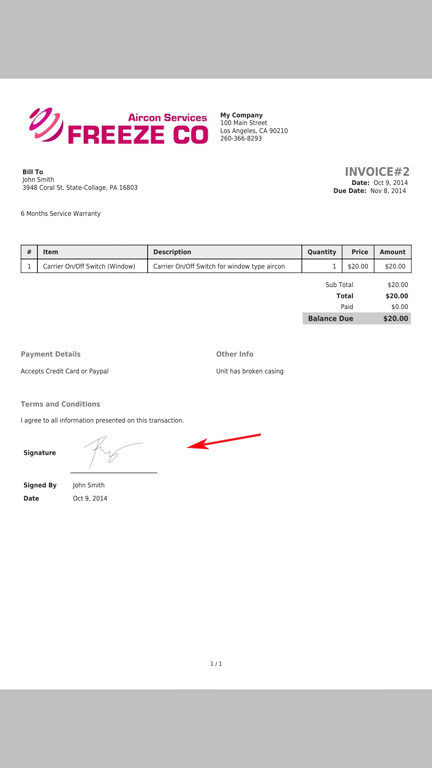 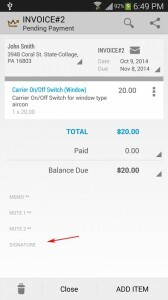 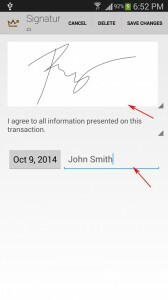 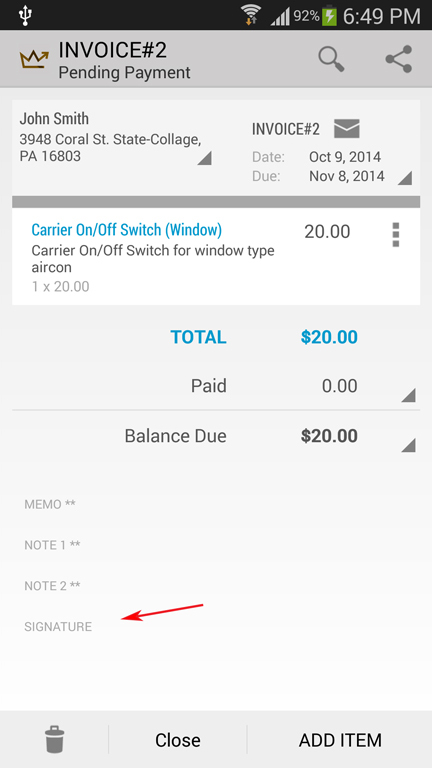 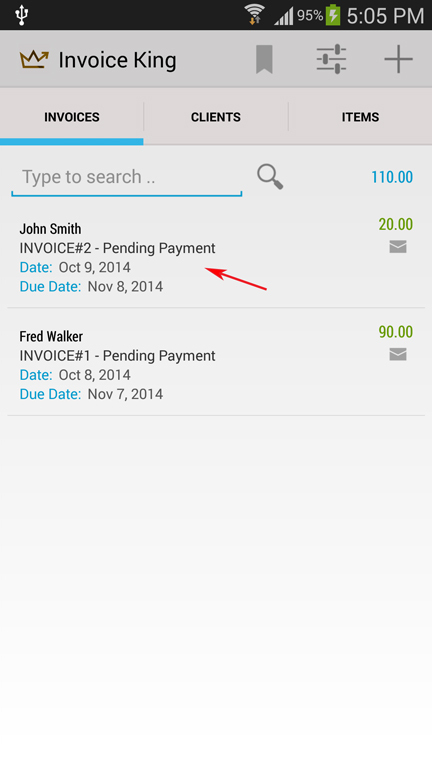 (5) Signature is now included in the invoice.